On Wednesday, May 15, 1991, I went to see PORTRAIT OF JENNIE on the big screen for the first time. 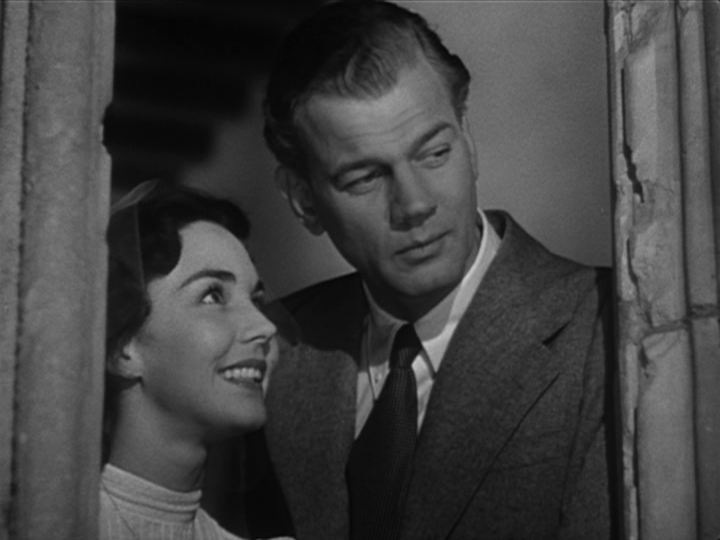 This 1948 romantic fantasy about a struggling painter in Depression-era New York who falls in love with a girl from another time was being shown at the Biograph Theater on W. 57th Street following the 50th anniversary rerelease of CITIZEN KANE as part of a tribute to KANE’s creators (in this case the film’s co-star, Joseph Cotten). 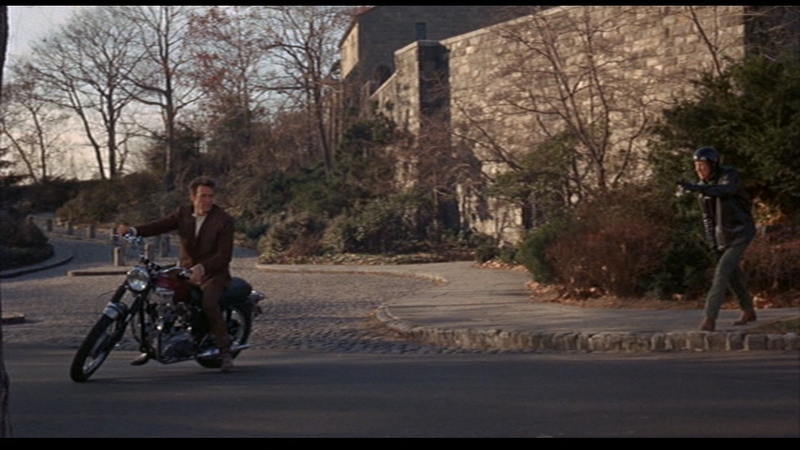 I’d seen the film on television and recorded it on video [VHS], but I couldn’t wait to see its many beautiful location shots of New York City on the silver screen. 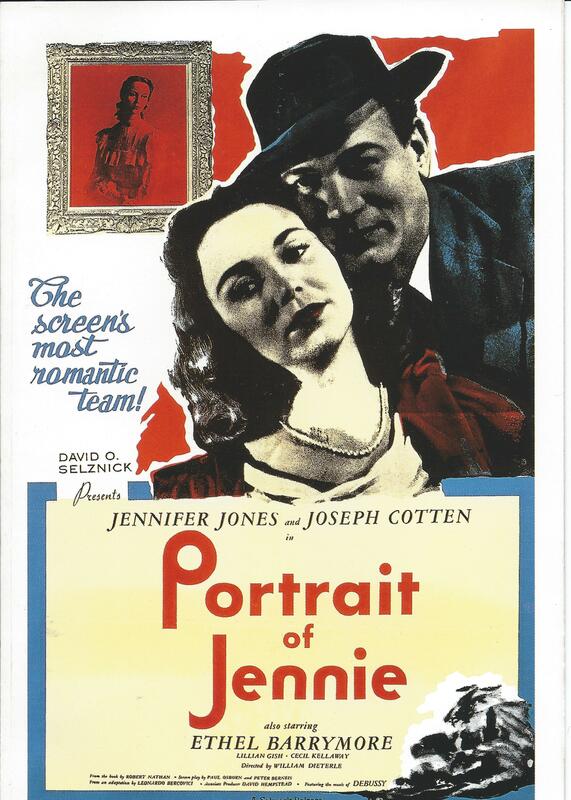 PORTRAIT OF JENNIE is set in 1934 and follows the budding romance between artist Eben Adams (Joseph Cotten) and Jennie Appleton (Jennifer Jones), an odd but enchanting girl who gets progressively older each time he encounters her. She is a schoolgirl when they first meet in the snow one late afternoon in Central Park but, on their subsequent encounters, in Central Park, the Cloisters and, eventually, Adams’ top-floor studio apartment, she passes through convent school and college to young womanhood, all in the space of a few months. Jennie turns out to be someone who had died just a few years earlier in a storm off Cape Cod at Land’s End, a place that Adams had frequently visited and painted. 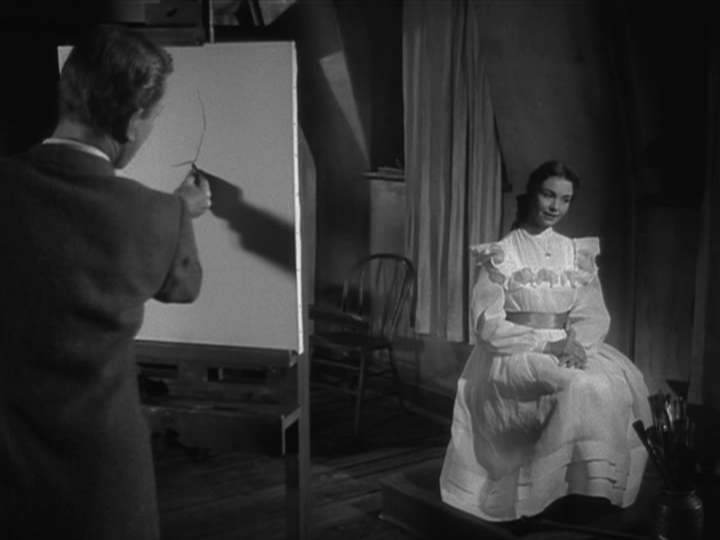 During the course of his meetings with her, he begins to paint her portrait, a work which will finally enable him to achieve lasting fame, despite the fact that he must lose Jennie. 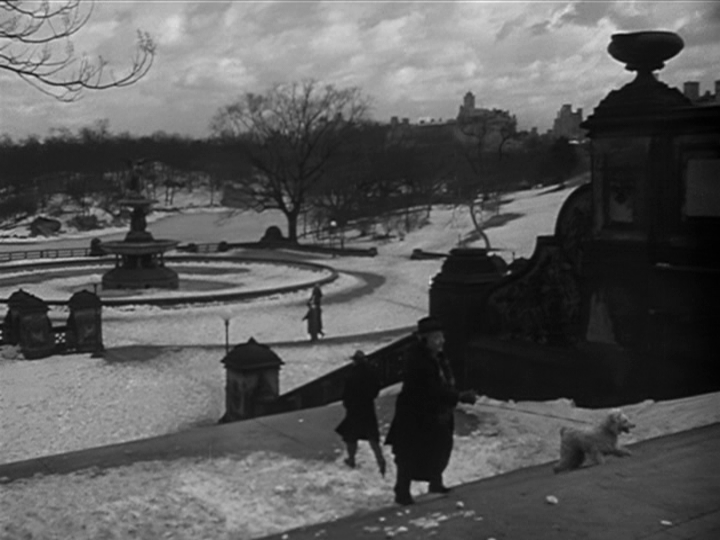 Central Park is the site of most of the lovers’ meetings and the film captures the park’s magical essence as no other film has ever done. 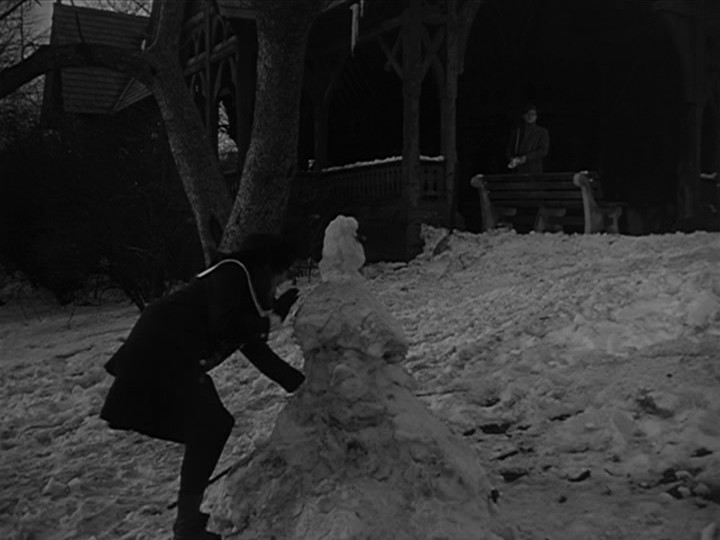 It is on location in the park—at dusk—where Adams first meets Jennie as she fashions a snowman near The Dairy, an old wooden building (still standing and used as an information center) marked by elegant arches and a pleasant covered path in front of it with benches and a view of the southeast portion of the park. 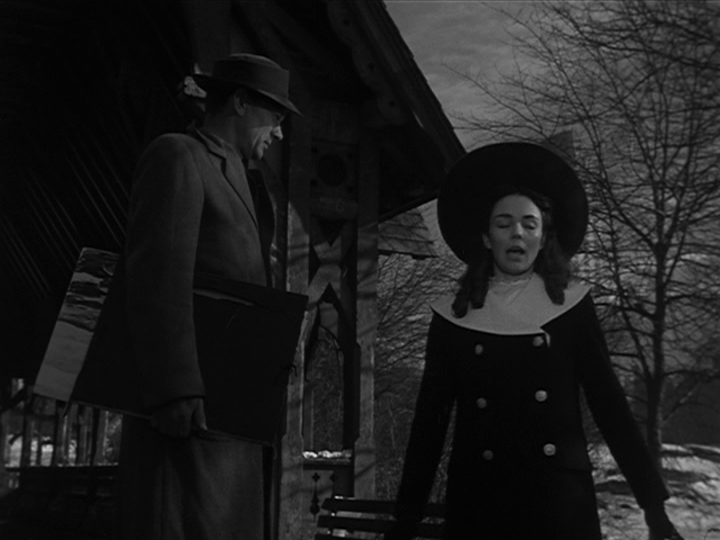 After they begin talking to each other, they walk along the covered path past the Dairy building and Jennie sings her haunting theme song, which begins “Where I come from nobody knows / where I am going everything goes” (a song composed especially for the film by Bernard Herrmann). She then turns around three times and makes a wish: “I wish that you would wait for me to grow up up so that we could always be together.” As Adams turns to retrieve a scarf she’d left on a bench, the girl disappears down a snowy path silhouetted by the bright light of a park lamp. 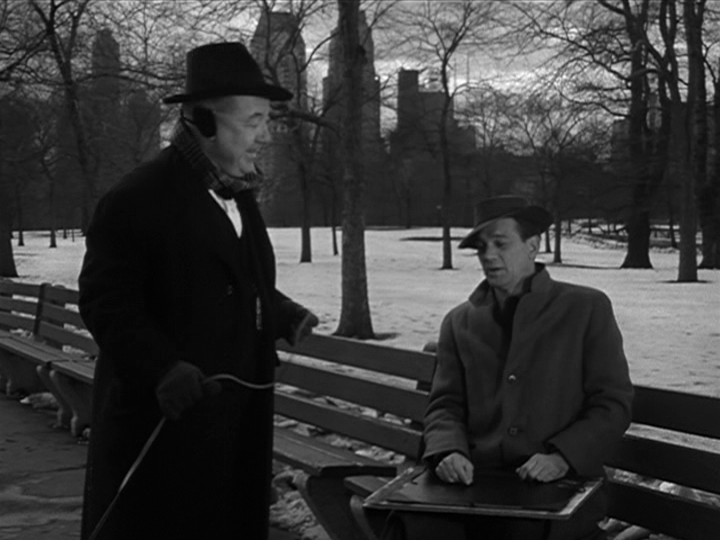 They meet several times in the park and in each of these sequences, location scenes of the actors are mixed with studio-filmed closeups, including an occasional rear screen. What gives the location scenes their magical power is the care the filmmakers took to use unusual angles and achieve lighting effects not often attempted on location. A crane is used in some scenes and low angle shots of the two are often used. 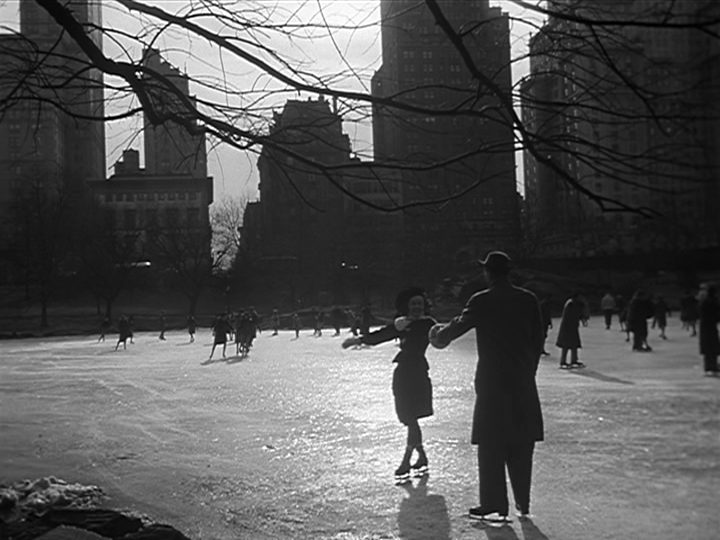 In one scene, involving ice skating on the pond in the southeastern corner of the park, Jennie ice skates into the scene bathed in a glow of sunlight shining down from between two Fifth Avenue towers. When the scene ends, she skates away past the snow banks on the side of the pond back into the broad swath of sunlight shining down from between the two buildings (structures which have since been dwarfed by larger ones). She disappears before Adams can point her out to a passerby friend of his (Ethel Barrymore). The images of Jennie skating into and out of the scene looked real to me and not a trick of the optical printer. 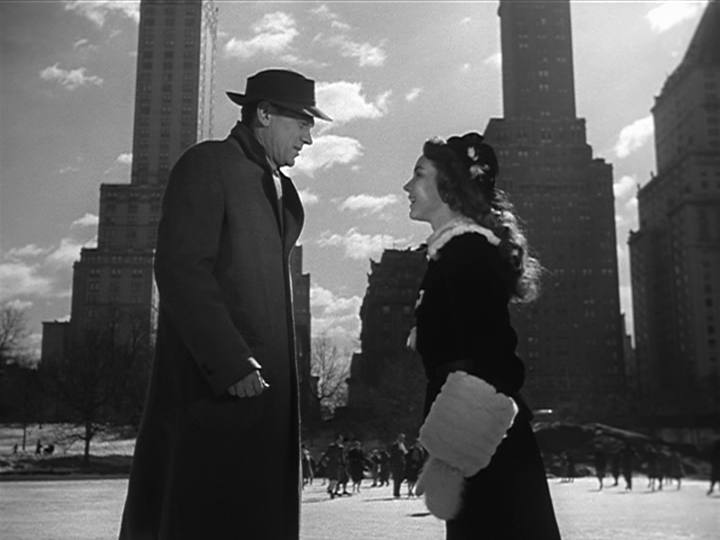 As for the shots of the two skating, both Cotten and Jones actually skate on the pond, which is just across from the Plaza Hotel. I have never known this pond to freeze over enough to skate on in my lifetime, but here are the two actors doing it on location—a magical touch if ever there was one. 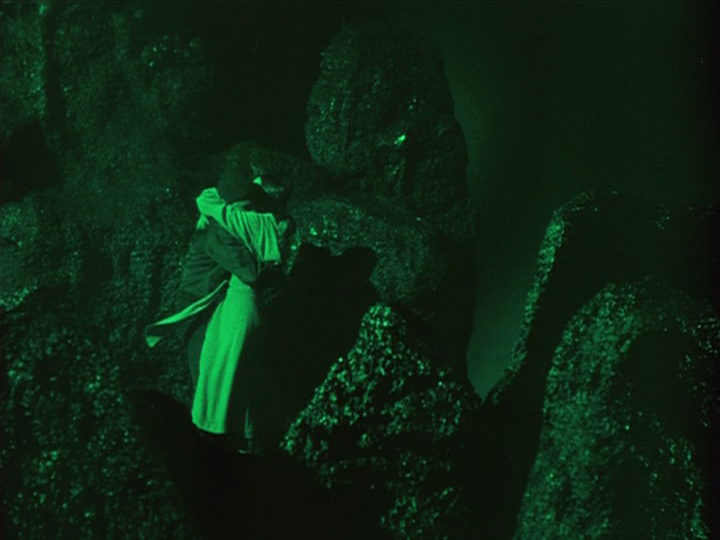 Just as the love story in the film combines the real with the timeless, the film combines location scenes with the almost mystical closeups only possible in the studio. 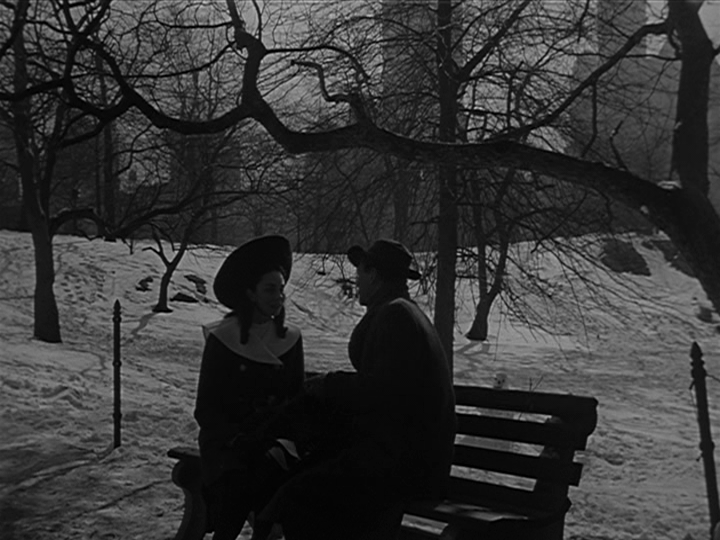 One nighttime meeting between the two, while largely shot in the studio, ends with a daring location crane shot of Cotten in the dark in the snow looking around for Jennie who has disappeared after bidding him to “listen to the stars.” The park sequences often open with shots of the surrounding buildings framed by a low sun, as with the two towers cited above. These shots are generally freeze-framed and filtered with some kind of fabric texture to give them a quality of being frozen in time. 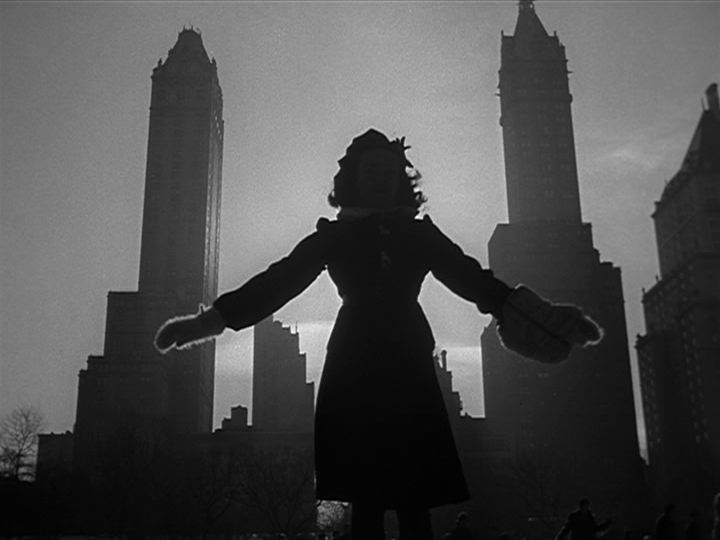 Whether it was intended or not, most of the film’s locations highlight the timeless elements found in Manhattan landmarks. The fact that 43 years after the film’s release we can go back to many of the film’s locations and find them exactly as they’d been in 1948 is not only satisfying but greatly adds to the film’s authenticity. 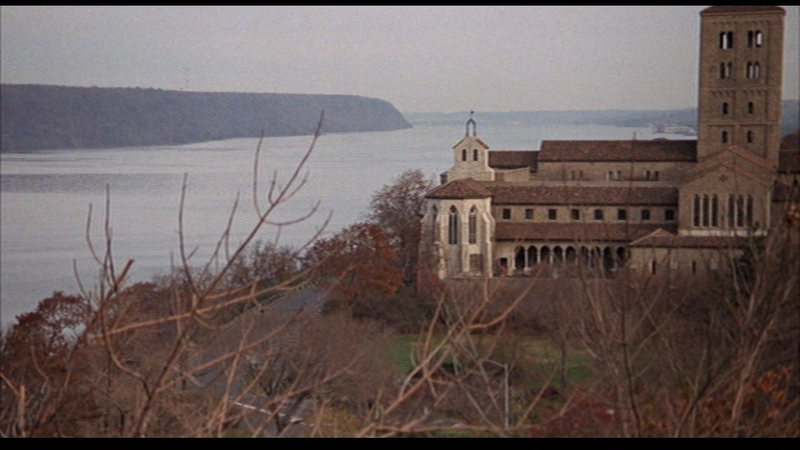 (This would not be true of a film shot in other prominent New York locations, e.g. Times Square, which has changed drastically since the mid-1980s alone.) 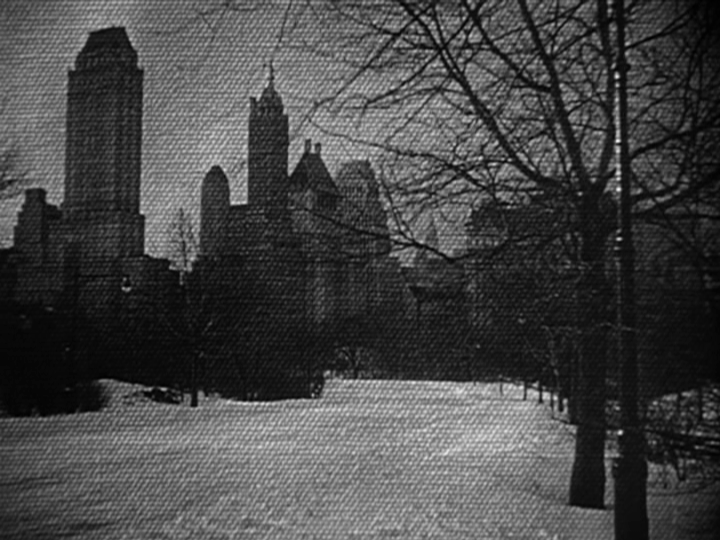 This is as true of the film’s other New York locations as it is of Central Park. 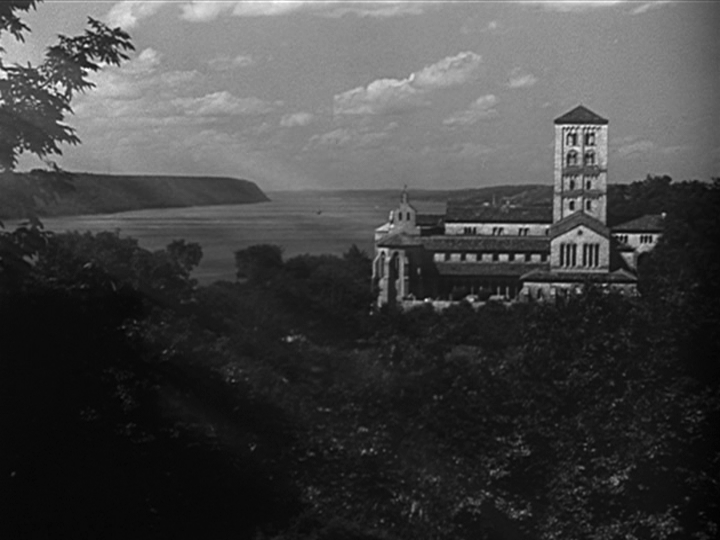 The Cloisters, the medieval museum in Fort Tryon Park in northern Manhattan, serves as the convent where the high school-age Jennie goes to school. 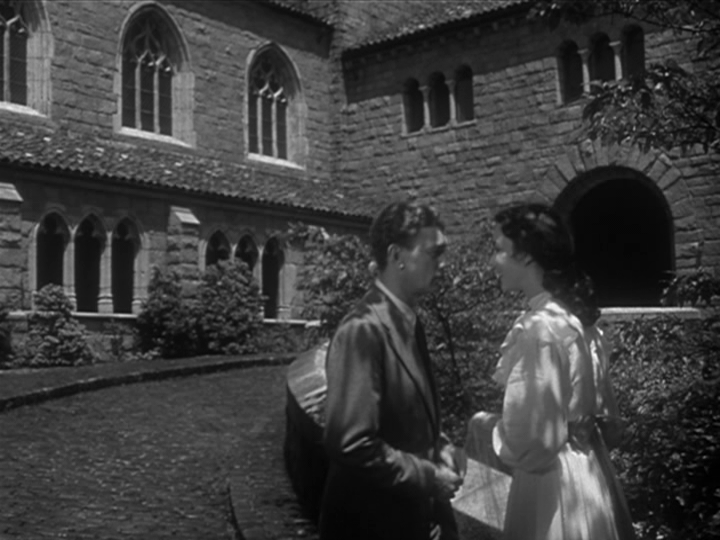 Eben and Jennie share a scene there which makes ample use of the museum’s medieval chambers, courtyards and gardens, scenery which would have cost a fortune to reproduce in Hollywood. 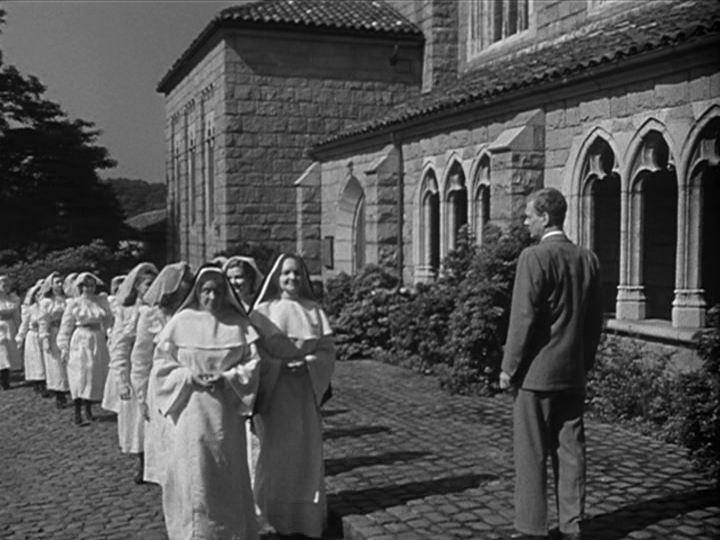 The generous use of locations in the Cloisters with three principal actors (Lillian Gish—a timeless entity if ever there was one—among them) gives the whole scene an authenticity generally absent from Hollywood fantasies of the era. 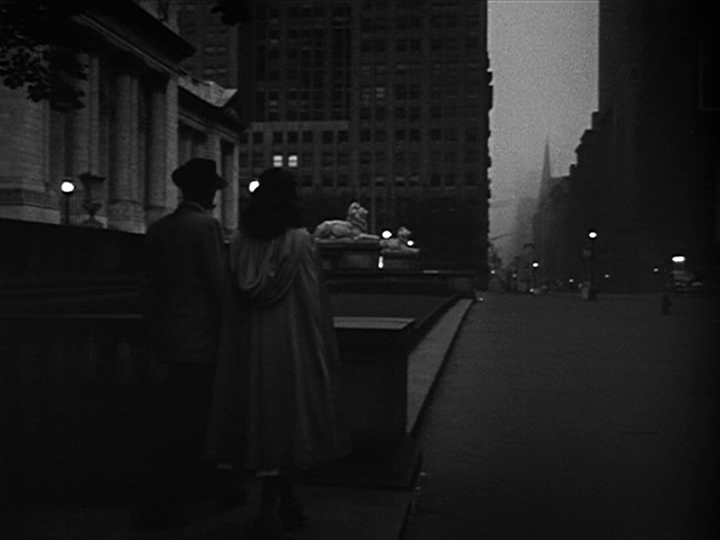 Later in the film, on the lovers’ last night together in New York (before their fateful reunion at Land’s End off Cape Cod), they spend dusk to dawn visiting various sites in the city—at each of which they are alone. They go from Central Park to a spot overlooking the Hudson from which they watch the sun set over the Jersey Palisades. They later walk along the Brooklyn Bridge and end up on a pre-dawn stroll outside the New York Public Library on Fifth Avenue. Most of these scenes mix location shots of the actors with studio closeups. 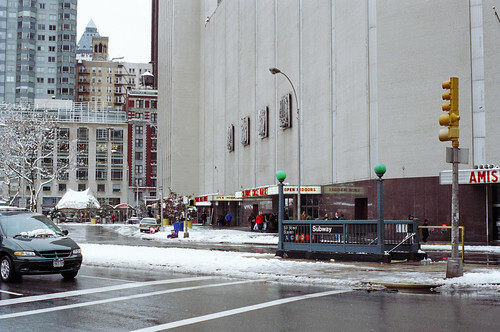 The scene at the public library begins with a location shot of two doubles of Cotten and Jones (shot from behind) passing the southern end of the library with the lions on the steps and a deserted Fifth Avenue in the distance. (I see this block nearly every day and I have never seen it without a mob of pedestrians.) 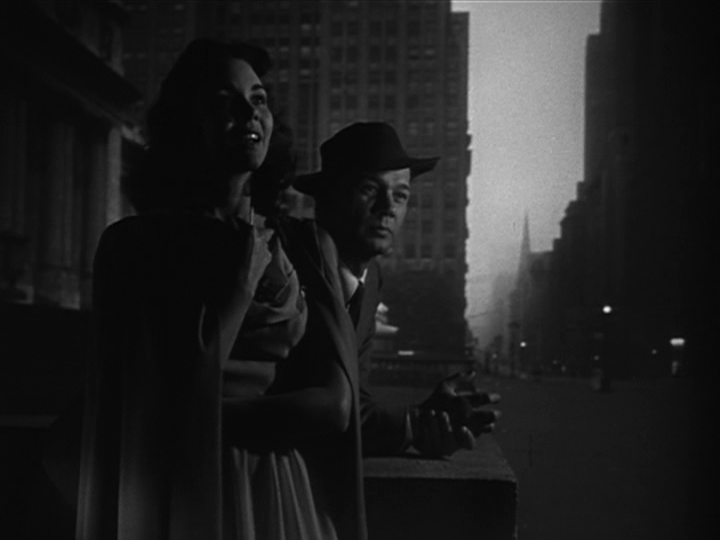 This shot is immediately followed by a two-shot of the actors in the studio with the library and Fifth Avenue projected behind them on a rear screen. 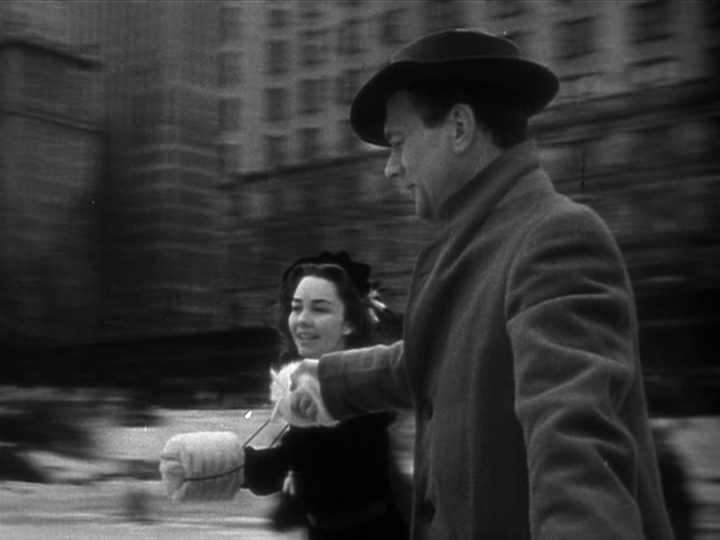 This whole sequence—of their last night together—perfectly captures the highly romantic notion that a pair of lovers can have a transcendent experience by walking around Manhattan together on an all-night jaunt. 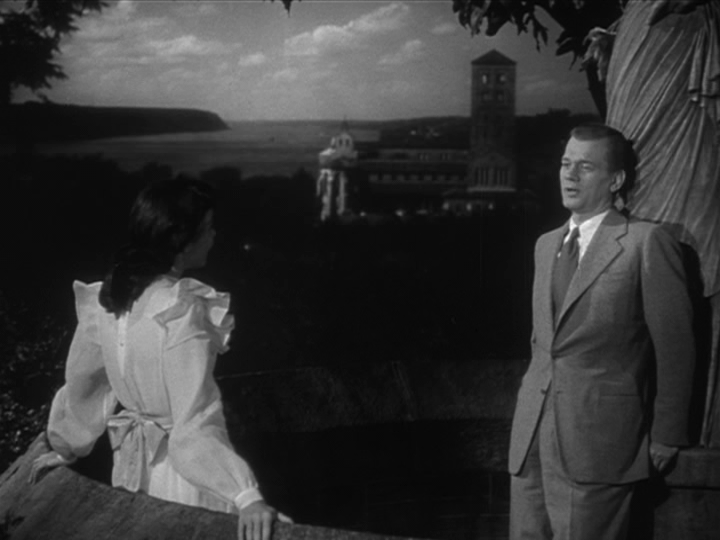 Other films, such as THE CLOCK (1945), scripted by Robert Nathan, the author of the novel, Portrait of Jennie), have had similar sequences but none with the sheer romantic power and beauty of these scenes, as well as their authenticity. 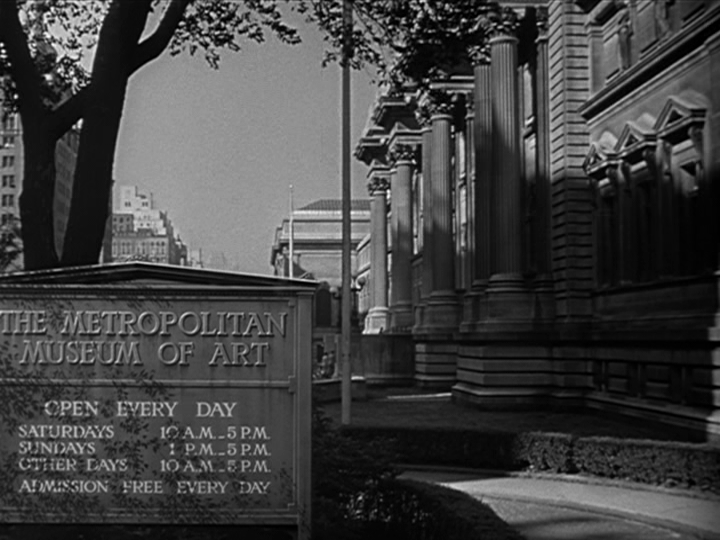 Finally the location that both opens and closes the film is the Metropolitan Museum of Art, as timeless and beautiful a site as any in New York. 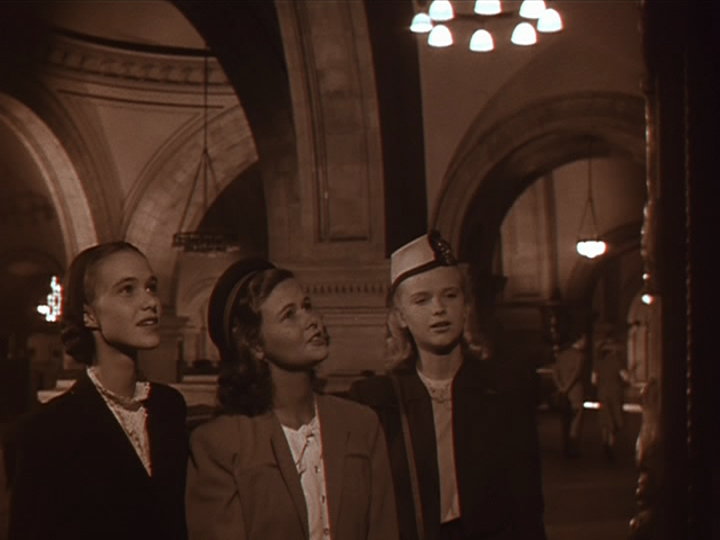 One whole sequence (featuring a teenaged Anne Francis) is filmed on the mezzanine overlooking the main lobby. This is where the title piece of art is displayed and, at film’s end, when it is revealed to us, is shown in Technicolor. 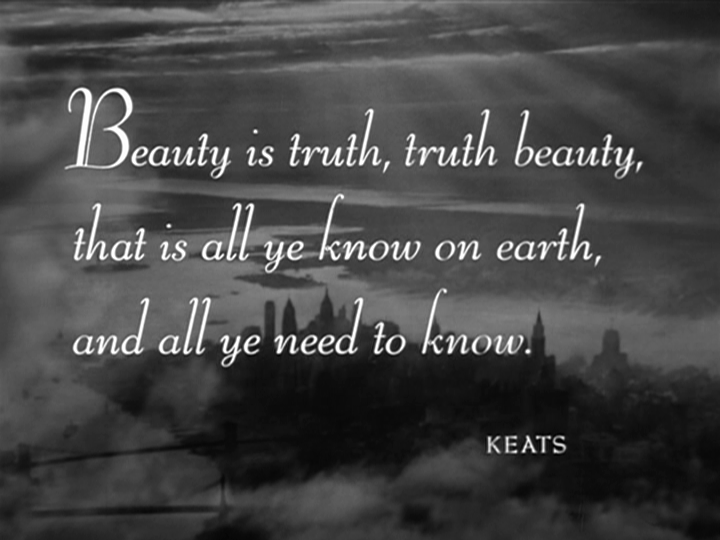 The film pointedly glosses over the harsh realities of Depression-era New York. We only see a hint of the pain of Eben’s existence: his hunger, his loneliness, the rejection and humiliation of an artist’s life, not to mention the freezing temperatures he surely was subjected to in his attic apartment. We do see one vaguely unpleasant encounter with his landlady, but that’s about it. We see no sign of the homeless men and tramps who build shantytowns in city parks and stood on line at soup kitchens and panhandled and sold apples. 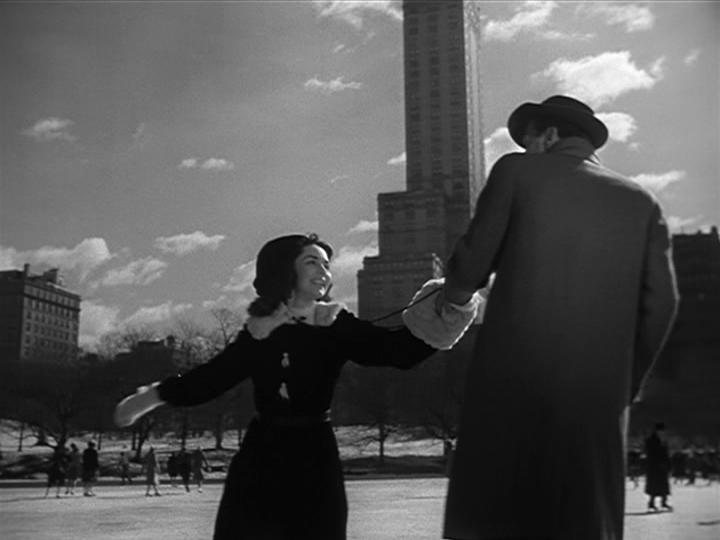 These omissions aside, understandable given the film’s genre and the time it was made, the film stands out as an example of the power of film to capture the transcendent romance, mystery and beauty of New York City in a way that the book, Portrait of Jennie by Robert Nathan, could only suggest. To those of us who walk the streets of New York city intent on finding for ourselves the magic of this city, PORTRAIT OF JENNIE remains an inspiration. 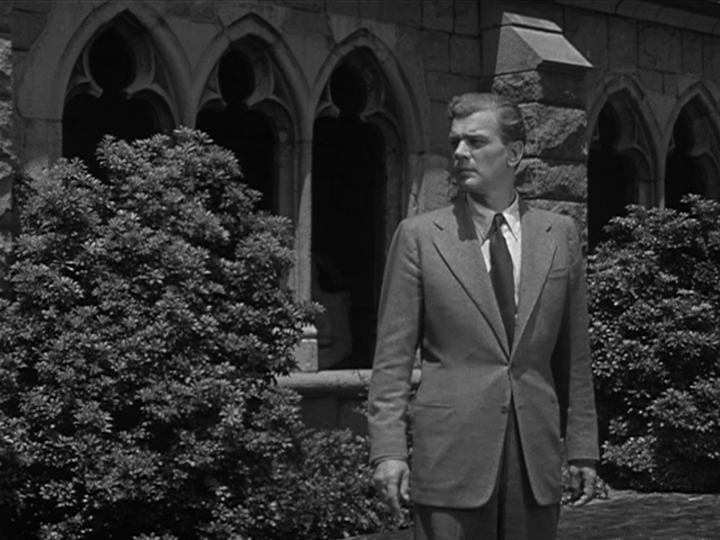 After seeing the film, I skipped the second feature, another romantic fantasy, THE ENCHANTED COTTAGE (1945), and headed out into the city. Inspired by the film, I took a walk, seeking the poetry and transcendence that Eben Adams sought in the film. Had it been daylight I would have gone through Central Park—which was only two blocks away—and sought out the locations used in the film. Instead, it was 8:15 PM and I followed the setting sun. The sky was a pleasant pinkish-red over the Hudson River and I took a walk in that direction hoping to find a spot unblocked by buildings from which I could watch the fading light. I passed the Coliseum on Broadway between 59th and 60th Streets (Columbus Circle) and its army of homeless denizens with their canvas bins on wheels filled with their belongings. Most had boards filled with books, magazines, records and artwork for sale, including many books dating from the time of PORTRAIT OF JENNIE and the earlier eras represented in that film’s journey backward through history. At the end of the block there was a fellow deep in concentration creating an abstract work with pastel. On the wall beside him was a display of his work—big pieces marked by sharp jagged patterns, bold lines and bright colors. It was harsher, more aggressive work than the paintings Adams painted in the film, but they were as reflective of this artist’s time as Adams’ canvases may have been of his. I didn’t stop to look for long for I was eager to catch what remained of the fading light. Okay, back to 2015. 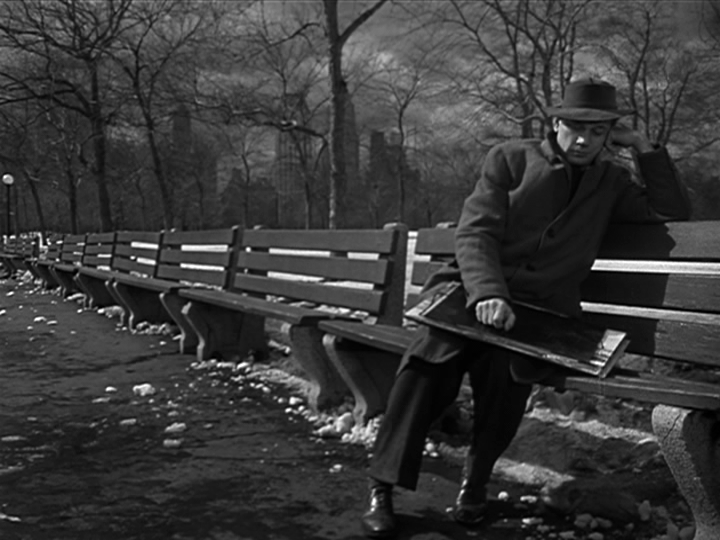 I’m stopping the piece here because it goes off on the rest of my trip around the Upper West Side that night and has little to do with the film, although I did make a point of trying to find an address mentioned in CITIZEN KANE—185 W. 74 St.—only to discover that it had never existed. (It would have been smack dab in the intersection of 74th Street and Amsterdam Ave.) Also, I should point out, apropos of the last paragraph, that the Coliseum was torn down a few years later to make way for the Time Warner Center. You may notice that I didn’t write anything about the tragic ending at Land’s End. Truth to tell, I never quite understood it. Was Jennie a ghost at this point or was she a living person and Eben had finally caught up in time to her? I read the novel on which it’s based and that didn’t help. I even read the memos producer David O. Selznick wrote to director William Dieterle during production and it was clear the filmmakers weren’t clear about it either. Which has never bothered me. It’s a mysterious story and it remains a mystery. Just like much of life. I don’t need a firm conclusion to enjoy a movie that has carried me along so joyously through its running time. 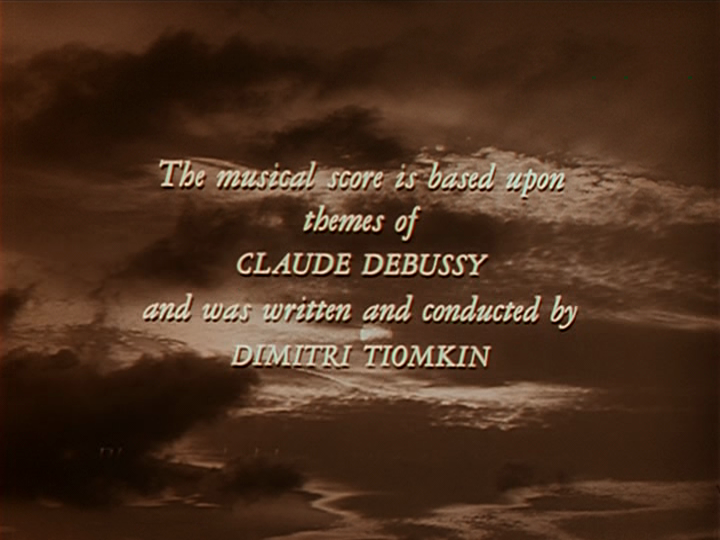 This film launched me on my lifetime love affair with Debussy. (For some reason all my favorite classical composers were either contemporaries or late contemporaries of his.) Interestingly, the main theme for Jennie in the film is a famous piano piece by Debussy called “Arabesque #1” and I first heard it used in the background of a Spanish-language telenovela called “Valentina” sometime in 1979. 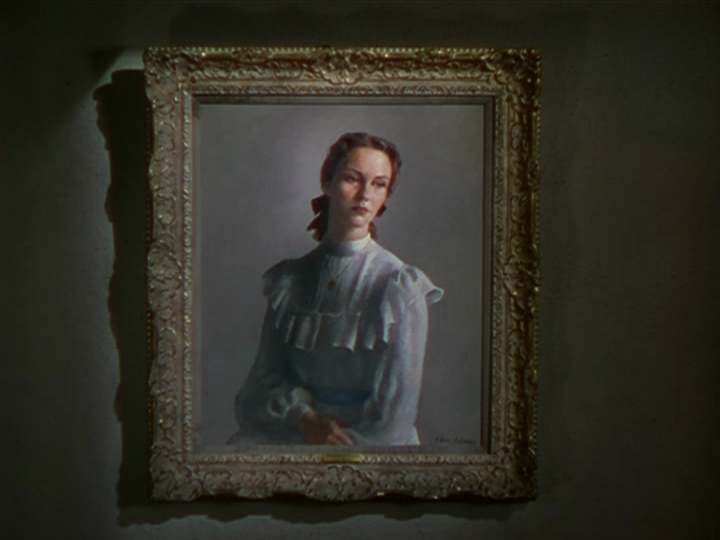 When local station WPIX ran promos for a showing of “Portrait of Jennie” not long after, I heard the same theme used in the background and that’s what propelled me to watch the film. And it was only then that I could identify the composer, but not the exact piece. When I questioned a co-worker with a background in classical music and hummed the piece for her, I was able to finally identify it and buy an audio cassette of Debussy’s music. I also didn’t mention the character of Clara Morgan, a black woman living in Harlem who had worked as a seamstress at the vaudeville theater where Jennie and her family had performed when Jennie was a child. Adams visits Ms. Morgan in her Harlem apartment to ask about Jennie and find out something about this strange child he’s just met. She warmly invites him in and shows him albums of photos of Jennie and her family from the vaudeville days and shares her memories of Jennie. He seems somewhat startled to realize that the girl he knows couldn’t possibly be the same Jennie, given the timeline provided by Ms. Morgan, but he keeps it to himself. 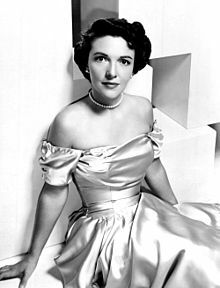 The actress is Maude Simmons, who didn’t act in many Hollywood films (only three are listed on IMDB). 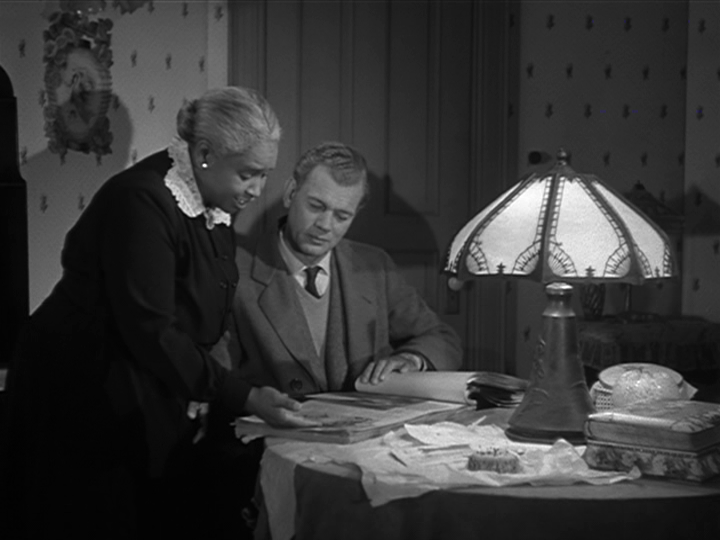 One of those films is NO WAY OUT (1950), Sidney Poitier’s debut film, in which she played Poitier’s mother. I suspect she didn’t cotton to playing maid roles, so she opted not to make more films after that. There are some interesting postscripts I’d like to add based on films seen since I wrote this piece or things I’ve witnessed. In the winter of early 1995, I went for a walk in Central Park after work on a very cold night and came upon a film crew shooting a scene for MONEY TRAIN, a caper comedy starring Woody Harrelson and Wesley Snipes and released later that year. The scene involved Harrelson emerging from a subway tunnel through a grate in the park and I could see that lights were bathing the Plaza Hotel in the distance in order to make the background to the shot stand out in the darkness. So I headed down to the southeast end of the park to see the effect of those lights up close. It was then that I saw the southeast pond, mentioned in my piece, completely frozen over! So theoretically, Harrelson or Snipes and their leading lady, Jennifer Lopez (another Jenny! 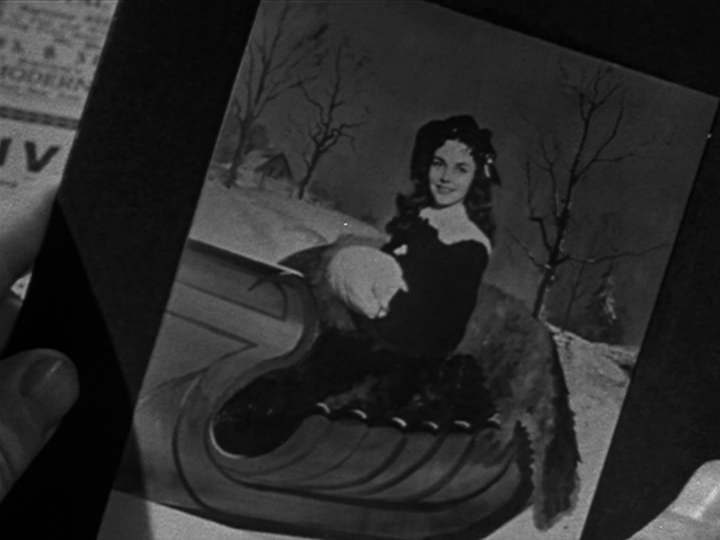 ), could have ice skated on the pond for a scene from the film. Because the lights were bouncing off the light-colored walls of the Plaza Hotel, they cast a glow over the ice which gave the whole thing the look of a studio set. 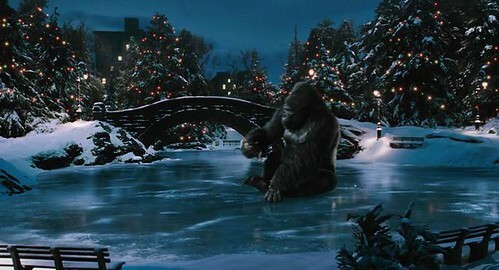 I thought of all this ten years later when I went to see Peter Jackson’s KING KONG in a theater and watched King Kong sliding around on the ice in a scene set on that very same pond, also at night. And it looked just the way it did on that cold night in 1995. How magical. 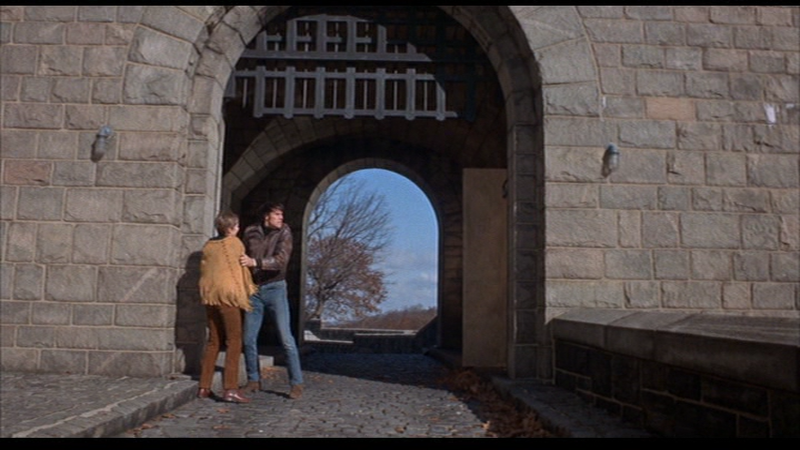 Also, the scenes of the Cloisters recall for me the first film I saw that used the Cloisters as a location, Don Siegel’s COOGAN’S BLUFF (1968), starring Clint Eastwood as a tough Arizona cop pursuing a fugitive criminal (Don Stroud) in New York, culminating in a chase scene in Fort Tryon Park. 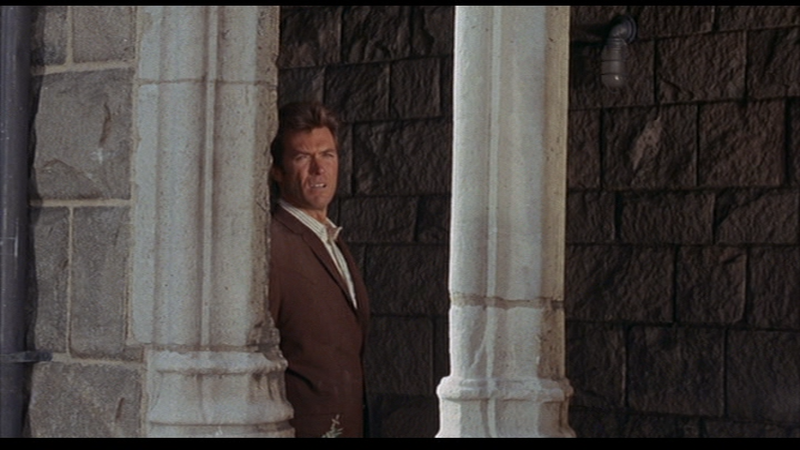 I wrote about this film on October 26, 2012 in my piece on Don Siegel’s centennial. 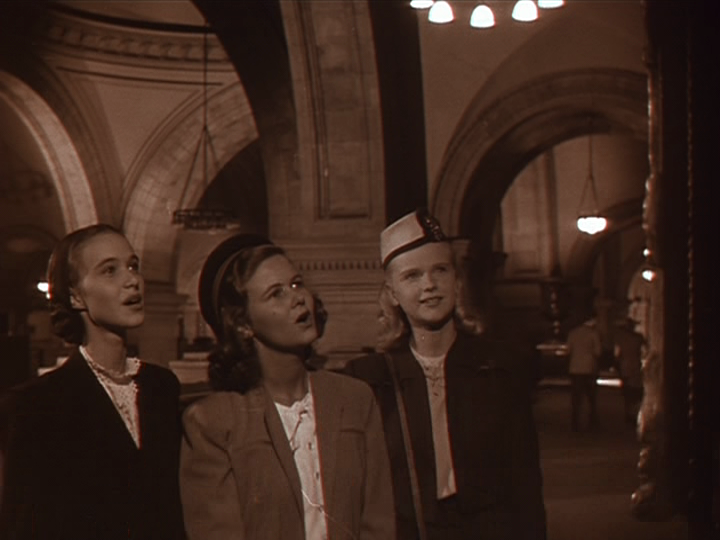 Finally, there is a scene at the end of the film involving three young students admiring the portrait of Jennie at the Metropolitan Museum of Art. 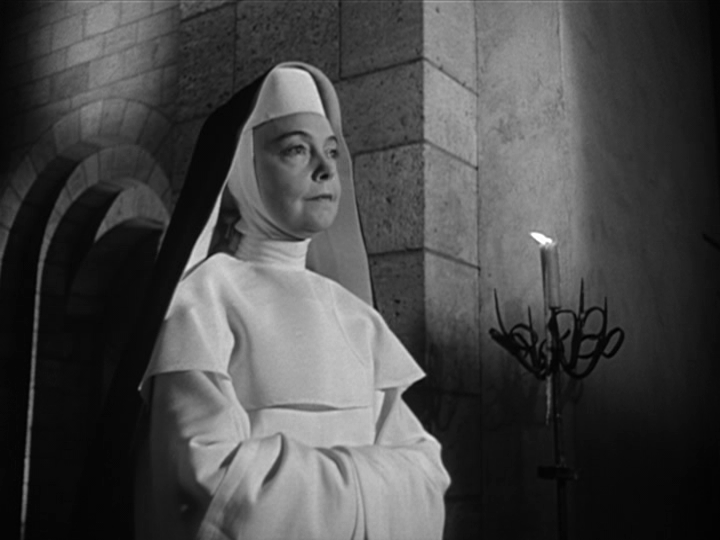 I identified one of the actresses, Anne Francis, in my piece. 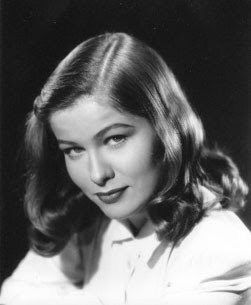 Since then, I’ve learned that the other two are supposed to be Nancy Davis (the future First Lady, Nancy Reagan) and Nancy Olson, who would co-star in SUNSET BOULEVARD two years later. That’s what IMDB says. They sure don’t look like Davis and Olson to me and I’ve seen plenty of movies with both made not long after this scene was shot. What do YOU think? 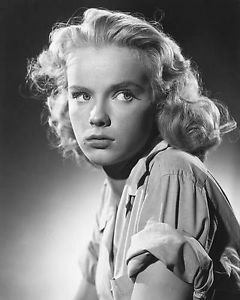 Anne Francis, of course, is unmistakable. Okay, Olson I can kind of see, but Davis in JENNIE is harder to recognize. I guess being very thin, using no makeup and pulling one’s hair back can make a 26- or 27-year old look like a high school girl. Coincidentally, Nancy Davis’ real name, according to IMDB, is Anne Francis Robbins! 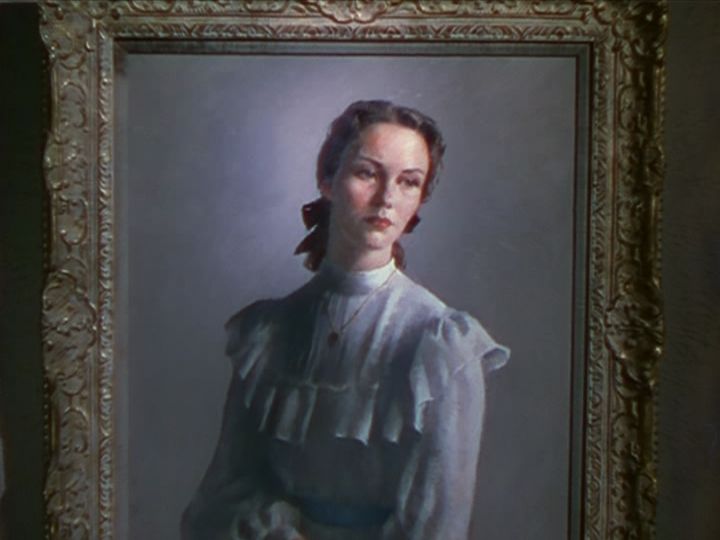 In any event, PORTRAIT OF JENNIE itself is a timeless classic and I urge those of you who haven’t seen it to finally do so on this first edition of National Classic Movie Day. 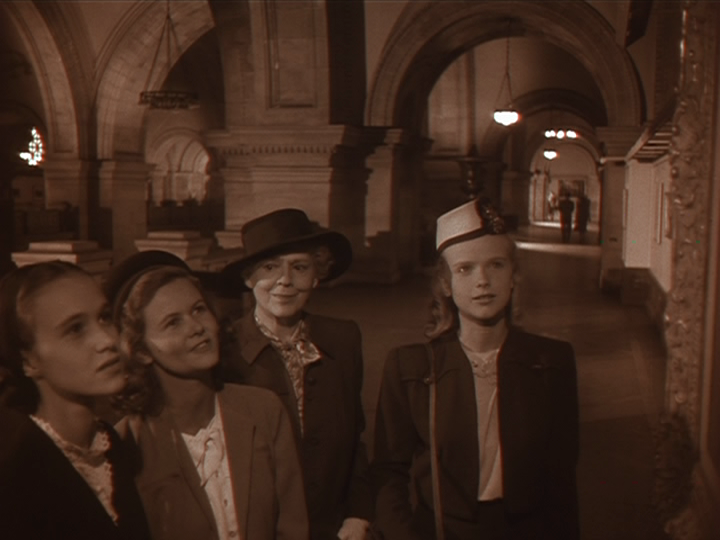 After reading your comment, I realized I hadn’t included a single picture of Ethel in the entire piece, so I went back and added one of her with the three girls at the museum. Thanks! Thanks for this review, Brian! This was one of my mom’s favorite movies, and thanks to her encouragement, I made sure to watch it and love it as well. 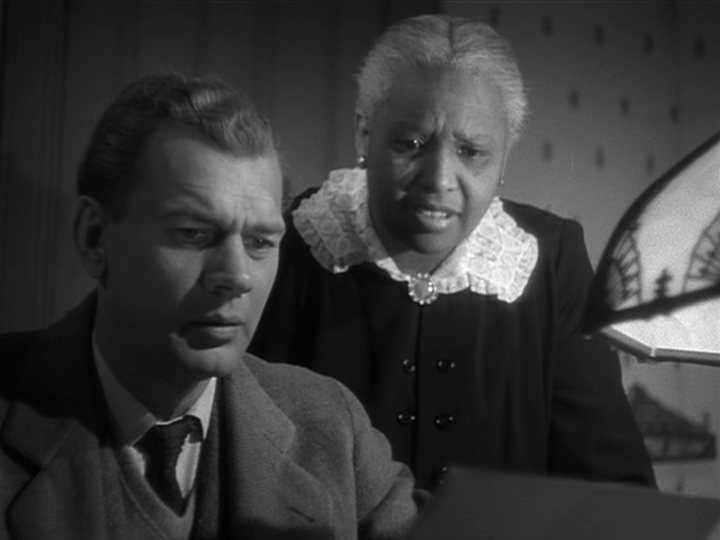 Joseph Cotten was always one of my favorite actors. Cotten’s really good in this, too. He’s a struggling artist who came to NYC to try to make it and is suffering from the pangs of hunger and poverty yet he never loses his dignity or his charm. He deals with quite a range of people in this, too, traveling through the park, going up to the convent to chat with Lillian Gish (who played his mother the year before in DUEL IN THE SUN), painting a mural in an Irish bar, going to Times Square and Harlem and then winding up on the seacoast in New England during a fierce storm. I didn’t even have space to mention all his scenes with Irish cabbie David Wayne in the bar. 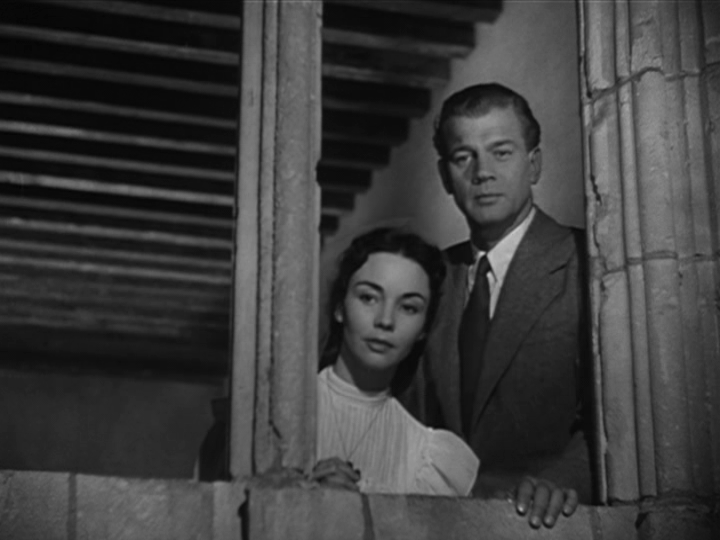 Brian, I have always loved PORTRAIT OF JENNIE, but am anxious to see it again after reading your wonderful post highlighting many of the film’s locations. Your pics from the movie are awesome! I’d love to see JENNIE on a big screen and with enhanced sound. The music is quite lovely and, as you noted, the visual elements reflect the film’s art vs. reality theme. Well done post! 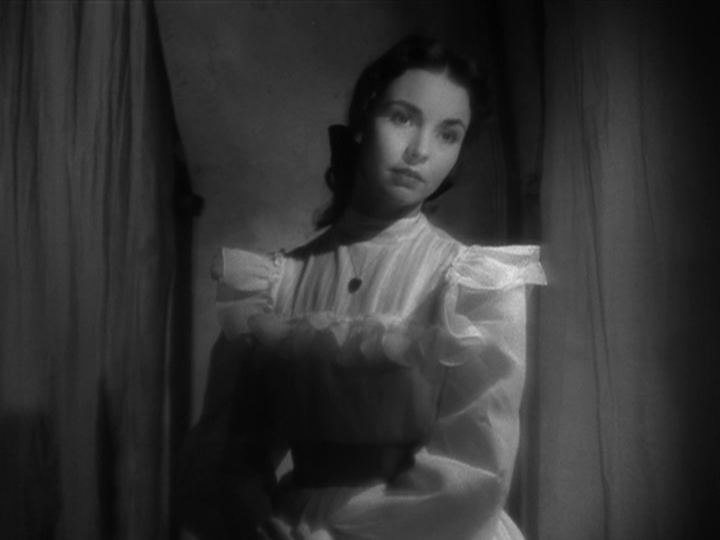 Thank you very much and many thanks for hosting the My Favorite Classic blogathon and giving me the impetus to finally publish this piece on JENNIE! How fitting this choice is, since Friday was Cotten’s 110th birthday. I watched this film for the first time in October and was instantly mesmerized by the film itself, the score, and Ethel Barrymore. It was the first film I’ve ever seen her in. I watched my second this morning! – Johnny Trouble. Jones did a fantastic job of “growing up.” I also read the book this was based on – lots of great passages! Wow, I had no idea about his birthday. What an amazing coincidence. As I noted above, I saw PORTRAIT OF JENNIE at the theater on May 15, 1991, which would have been his 86th birthday and he was still alive at the time. I wonder if the theater had announced it was his birthday or not. I don’t remember. And thank you for linking to your excellent piece on Cotten. Great pix. SHADOW OF A DOUBT is my favorite Hitchcock film. I wish I could have seen it in theaters! I saw it on youtube. A little blurry but still effective. I just saw “Shadow of a Doubt” for the first time recently. 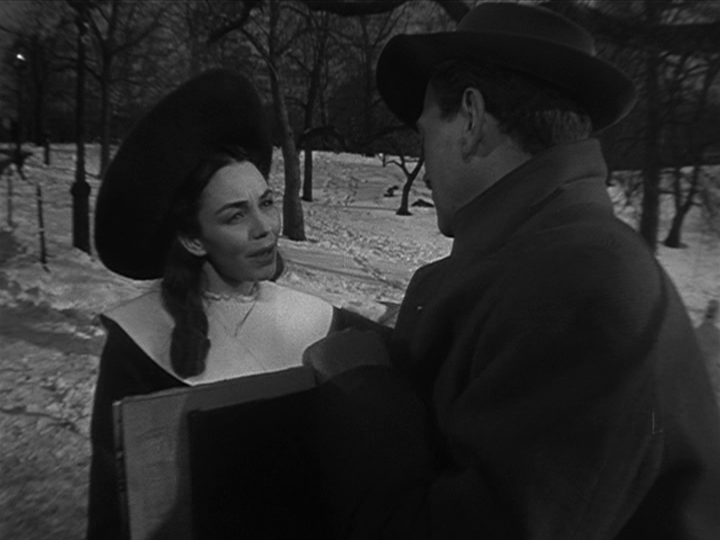 It’s up there with “Rebecca” and “Strangers on a Train.” I love Hitch’s early American films. Slowly trying to watch them all. I didn’t think I was going to like this film, but I was immediately captivated by its ethereal quality and beautiful cinematography. 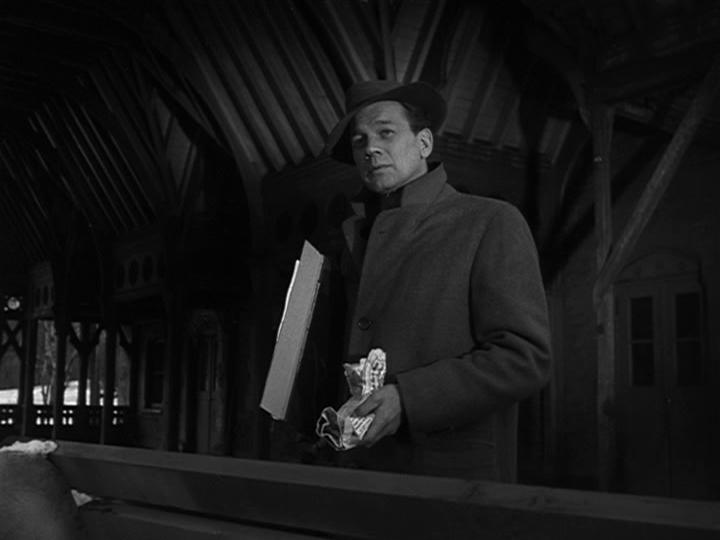 Besides, what’s not to like about Joseph Cotten! One of your best pieces, Brian. I remember commenting under this post back in May, and remember it being “Portrait Of Jennie”. I’m happy to hear this. And you picked a good day for Central Park. It was very hot for the three previous days and it finally cooled off today. Hope you enjoy your stay.